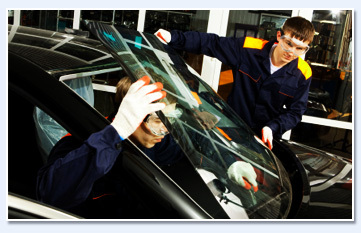 Our auto glass shop Oakville is located at 281 Speers RoadOakville, Ontario L6K2G1. * Competitive low prices up to 40% lower! The auto glass replacement specialists at Speers Auto Glass in Oakville have replaced thousands of windshields, back glass, door glass, and all other auto glass you can think of. This has given us the experience which enables us to replace damaged auto glass quickly, efficiently and to factory standards, so you can get the best possible price. We also have thousands of windshield makes and models on site at our auto glass replacement Oakville shop, so we can service you much faster than other auto glass companies in Oakville and Burlington which need to order each individual auto glass part. Our shop is located in Oakville, just minutes from Burlington, so we are considered by many as their auto glass replacement Burlington shop as well. If your windshield is damaged or broken and you are looking for an auto glass shop or mobile service to your home or work place that is reputable, professional, affordable and reliable - you can trust Speers Auto Glass serving Oakville, Mississauga West, Burlington, Hamilton and Milton area. Our technicians both in the shop and mobile service will gladly help anyone in need of repair or replacement and we always have the best quotes for you. If you have auto glass insurance, we will even pay your auto glass insurance deductibles. 24/7 quotes and service, emergency? we will be there promptly, just call us and we are on our way. Windshield repair or replacement, all auto glass parts in stock and professionally trained auto glass technicians available on call 24/7 is what makes Speers auto Glass the auto glass shop of choice! "My decision to bring my Honda to Speers Auto Glass began with a great price, seeing the quality of their work - it is now the only auto glass shop I trust!" Why Should You Hire Speers Auto Glass For Windshield Replacement? Your windshield is an often overlooked, yet crucial and important part to the functionality and design of your care. An undamaged windshield protect the driver and occupants from harsh Canadians weathers and other external factors. So, it goes without saying that you should treat your car's windshield with tender loving care, especially since it will be the barrier between you and damage in cause of a mishap or accident. A: Wear and tear will eventually take its’ toll on your windshield. Just regular use may eventually put enough strain that you could discover a crack or split. If a windshield has aged, sometimes a simply flying rockchip might be enough to further damage it. If this happens to you, repairing (instead of replacing) your windshield is always an option. Repairing a windshield is substantially cheaper than replacing it, so this is a more alluring option. However, you will have to have a trained, skilled, and trusted professional perform this task. Doing the repair yourself could prove to be disastrous, and put you in a worse position than what you started with. If the damage is bad enough that repairs cannot be performed, then windshield replacement will have to be done by a trained professional. A: Small crack might seem minor and safe, but in reality, they could become much worse very quickly. Small cracks have the potential to spread, potentially shattering your entire windshield. No only would this be a costly repair or replacement, this also puts you and your occupants in grave danger. Repairing small cracks is quick and easy, so there is no reason to avoid having it assessed and repaired in a timely manner by a trained professional. A: If the damage on your windshield is bad enough to warrant a full windshield replacement, you should never consider attempting the job yourself. At home jobs are very likely to fail, not only causing more damage to the car, but also putting you in danger. Trained professionals are well versed in the safest and most reliable methods of windshield replacement. Our quotes are always the best, quality glass in stock and fast, same day service with warranty. Give us a call or fill out our quote form. We are looking forward to deliver you with our services.